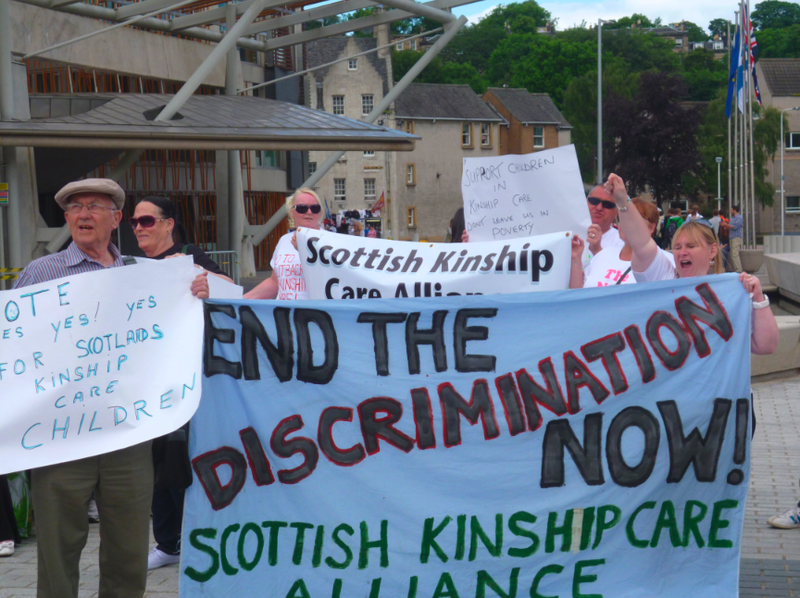 The Alliance claim the new Kinship Care Order will further embed the existing discrimination between children in kinship care, and those in foster care. 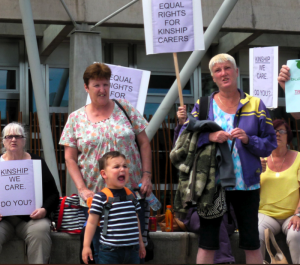 Foster care children currently receive much higher levels of financial support and access to essential services such as educational and psychological support, while kinship children often remain in poverty and without any help, and are even stigmatised by the Local Authority, as the Buttle UK’s 2013 report The Poor Relations highlights. The Buttle report claims that each informal kinship carer saves the taxpayer between £23,500 and £56,000 a year, despite many of these carers finding themselves in poverty, with 31% of these families unable to provide all of the eight basic items that most of us consider necessities, such as heating and winter clothes. 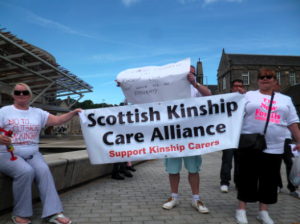 1 in 70 children in Scotland is in kinship care according to the report which is based on census data. 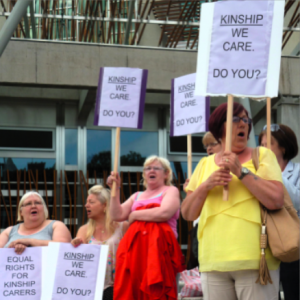 b) Severely limiting the number of kinship care placements which can receive financial support, start up grants and support with the court costs of obtaining an order by imposing eligibility criteria which only entitle ‘children at risk of becoming Looked After’. 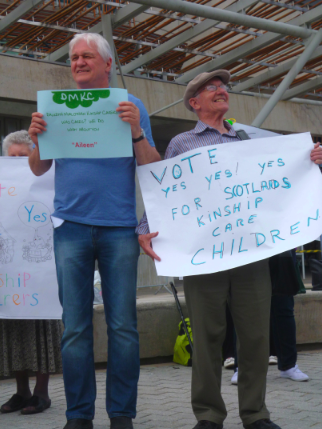 c) Failing to ensure that often traumatised kinship care children have priority access to psychological and educational support. d) Leaving decisions on support to the discretion of Local Authorities, continuing the ‘postcode lottery’ of assistance for kinship placements which currently exists across Scotland. These points are included in the Alliance’s recent response to the preliminary Secondary legislation for the Kinship Care Order. The response also notes that the Scottish Government’s review on financial support to kinship carers, expected by the end of 2013, is now well overdue, giving no assurances that the Scottish Government will provide a minimum financial allowance to all kinship care families to provide for the basic costs of childcare. 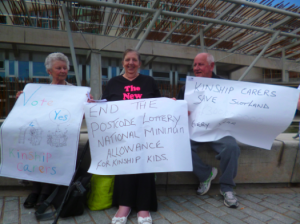 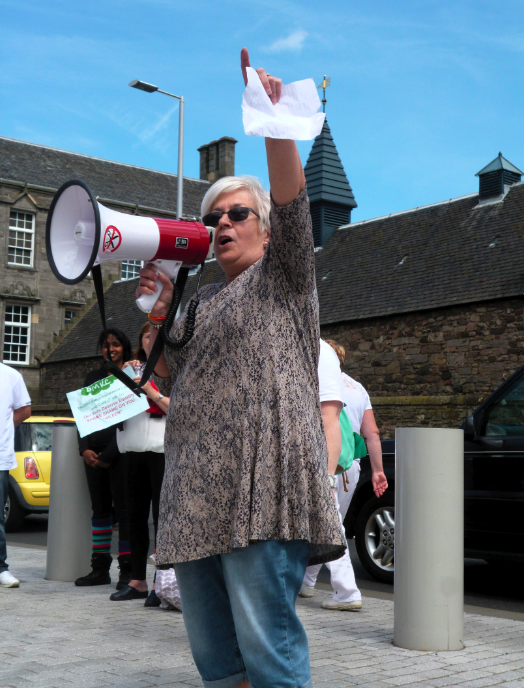 The Alliance had previously opposed the measures in the Bill and submitted a number of amendments with the help of Jayne Baxter MSP, but it was nonetheless passed without amendments in Holyrood in February, while kinship carers demonstrated loudly outside. 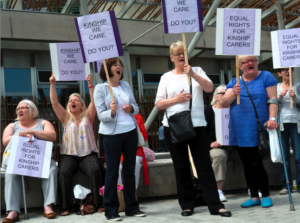 The Financial Memorandum of the Bill openly states that the measures suggested will save the Scottish Government and Local Authorities money over the coming years, rather than increasing the investment into kinship care.